Wizkid set to release a new single featuring Doktor Dolor entertainment act Teni. The title of this soon to be released single is yet to be known but a sneak peek of it shared by Star Boy on a live session on instagram reveals it's almost done and would likely be a major hit. Wizkid announced via his social media pages earlier this year that he'll be taking a break from the music scene till March, many thought this isn't going to happen, he has since kept his words. 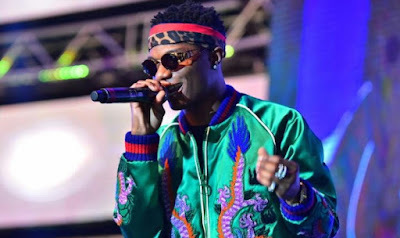 However, the wait is almost over as Wizkid set to drop his first song in the year 2019, a collaboration with a talent singer Teni.